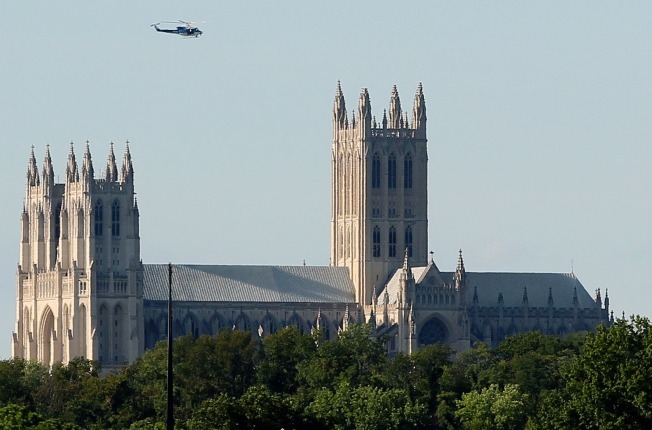 The crane accident Wednesday at the Washington National Cathedral has forced several Sept. 11 anniversary events -- including one President Barack Obama will attend -- to be moved to the Kennedy Center and other locations in the D.C. area. The Kennedy Center will now host "A Concert for Hope" on Sunday, which includes remarks from President Barack Obama and performances by renowned mezzo soprano Denyce Graves, country star Alan Jackson, and R&B legend Patti LaBelle. Sunday morning's Interfaith Vigil will take place at the Washington Hebrew Congregation, which will also host Sunday's commemorative Eucharist service along with the forum featuring Karen Armstrong. All confirmed tickets for the Friday and Sunday night concerts will be honored in the Kennedy Center Concert Hall. 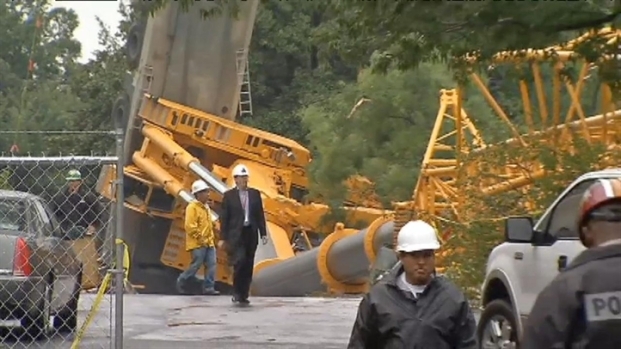 More stunning than the accident itself was the seemingly minimal damage caused by a 500-foot tall, 500-ton crane toppling over. What: A vigil where participants of diverse faiths will pray together and mark the moments when airplanes struck the North and South Towers of the World Trade Center, hit the Pentagon, and crashed in Pennsylvania with the tolling of the largest bell in the Cathedral tower. Who: Bishop of Washington John Bryson Chane, presider; Cathedral Dean Samuel T. Lloyd III, preacher; the Rev. Dr. Kathy J. Nelson, president, F.I.S.H. 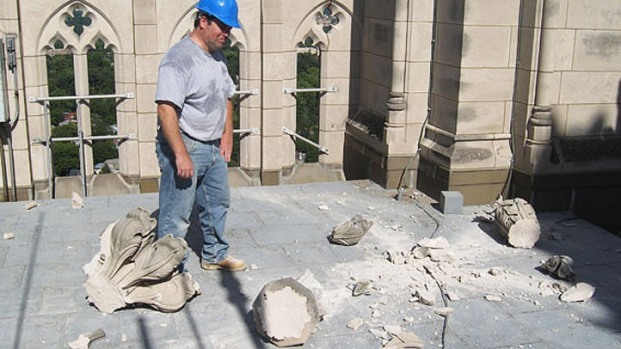 Foundation, Inc.